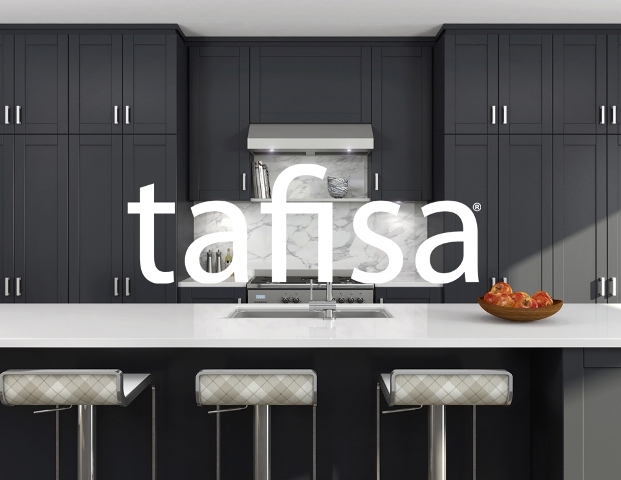 TafiLam-Eco has all of the design and durability advantages of Tafisa’s standard TFM, with an added environmental bonus – it uses a no-added urea-formaldehyde (NAUF) binder system. No compromise in panel quality – The performance and durability of TafiPan-Eco complies with ANSI A208.1-2009 standards for M2 physical properties. Available in several custom dimensions, minimizing waste in downstream processes. TafiLam-Eco TFM has exceptional wear and stain resistance compared to wood surfaces. A spilled soda cleans up completely with mild soap and water, even if it’s been there since yesterday. In extreme cases, use an ammonia-based glass cleaner. * For the first cleaning after manufacture, we recommend a thorough cleaning with paint thinner or a glue/varnish solvent. Never use acidic or alkaline products, or any substance abrasive substance that might damage the surface. 90 standard designs from our own globally inspired collection, plus over 500 designs and colors from Wilsonart, Coveright and Aborite. Our four state-of-the-art TFM presses fuse them to the TafiPan-Eco core, creating beautiful panels with unmatched environmental bona fides and wear properties that compare favorably to HPL. Five different surface finishes and textures let you choose from a variety of sheen levels and woodgrains realistic enough to fool the pros. TafiLam-Eco’s wide range of designs and textures make it a durable, high-value material for residential furniture, cabinetry, home offices, kitchens, baths, walk-in closets, media centers, and garage and other storage systems – anywhere a durable, easy-to-maintain, CARB-2 compliant surface is needed. TFM has an impeccable record in some of the toughest commercial and contract furniture environments: retail fixtures and interiors, healthcare furniture and interiors, office desks and storage, conference tables, and hotel rooms and lobbies. TafiLam-Eco’s NAUF core makes those environments just a little bit friendlier.